Hon. 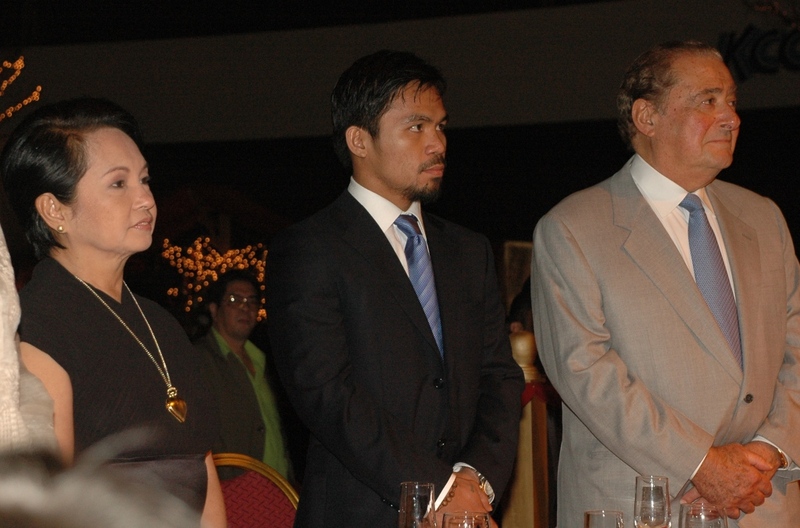 Manny Pacquiao is going to celebrate his 32nd Birthday on December 17, 2010 at KCC Events and Convention Center, General Santos City. Ms. Lee Ann Omega, Mr. Bren Evangelio and Mr. Paulo Sunglao are busy preparing the details. 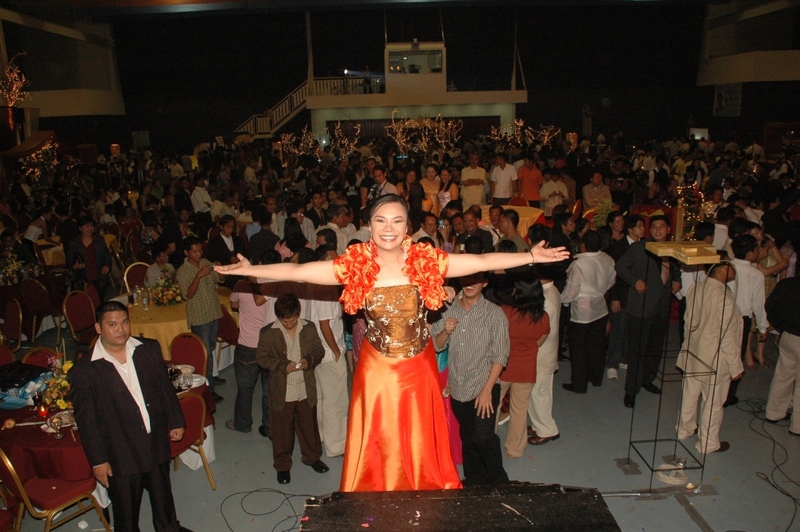 This year’s theme is Graeco-Roman, Blue and Gold Birthday Bash. 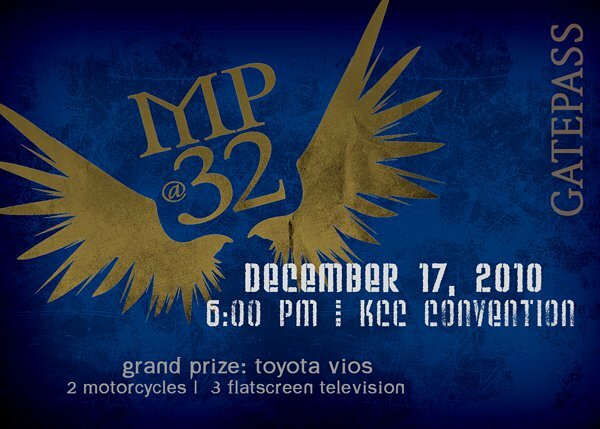 I am excited because I will be hosting the event with Bayani Agbayani. Be sure to check back, dear readers, for photos and details of the celebration. 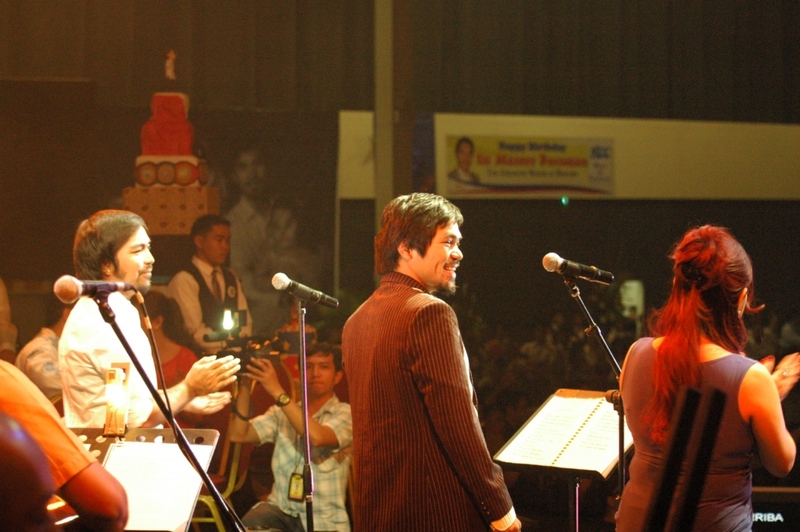 For now, let me share with you some images taken during Pacman’s 30th and 31st Birthday. 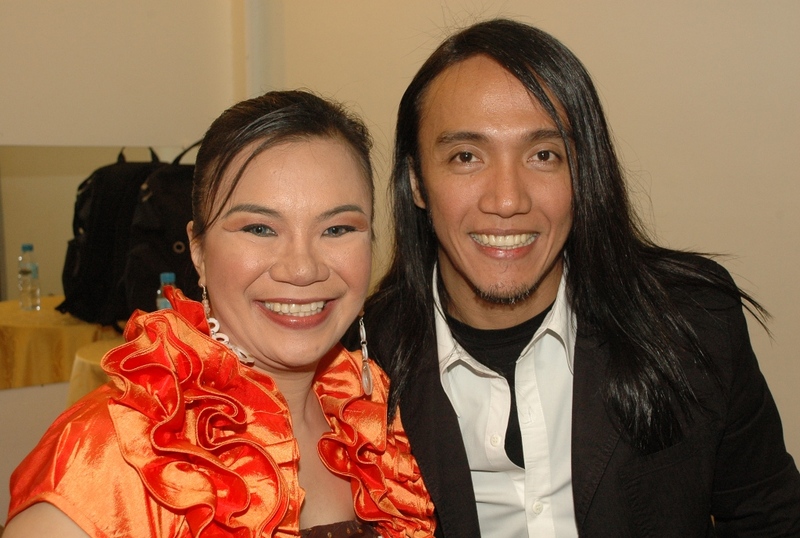 I was the host in 2008 but was “shy” to ask for a photo opportunity with him. 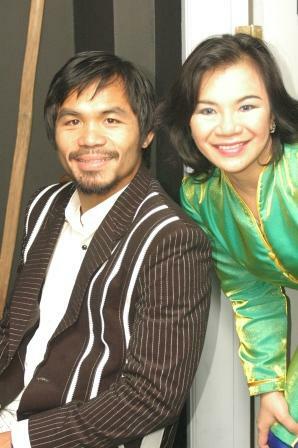 My Piao made sure that I had this one with Pacman on tarpaulin. 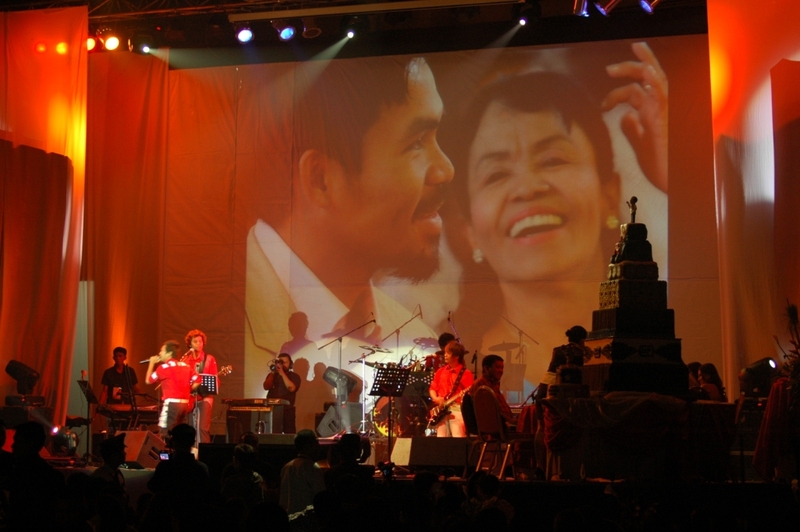 The champion boxer is a singer! I did not pass the opportunity to pose with the world-famous boxer on his 31st Birthday. Happy Birthday, Hon. 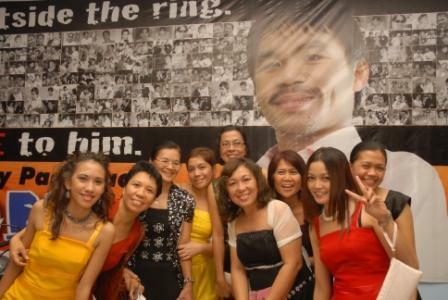 Manny Pacquiao! Thank you, Mosler Paul Lapore, for the photos. I am grateful that you have properly kept these treasures! Happy clicking on the 17th! 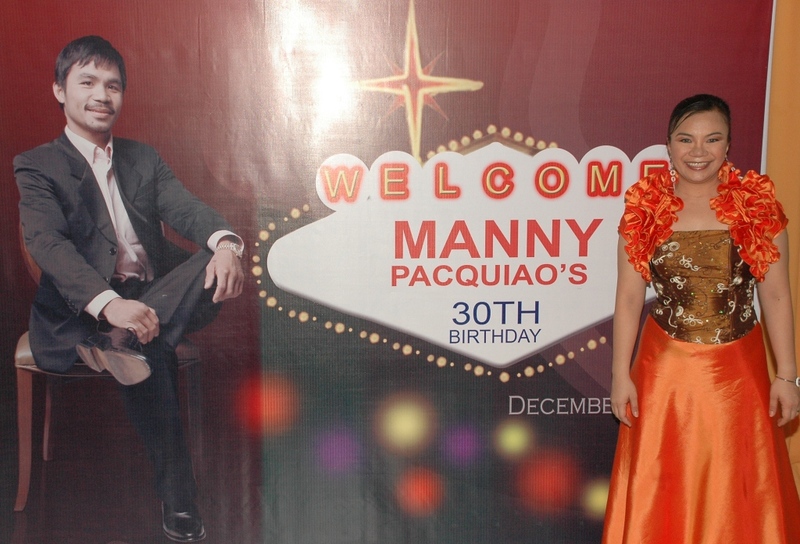 This entry was posted in Birthday, Manny Pacquiao and tagged Bren Evangelio, Congressman Manny Pacquiao, Lee Ann Omega, Mosler Paul Lapore, Pacman, Paulo Sunglao.